Wrapping up our altitude camp in Park City today. Wow, I am not sure that I have ever had such nice weather for a fall training camp. We capped off a great three weeks with a 4 hour double pole/run combo on yet another beautiful fall day. 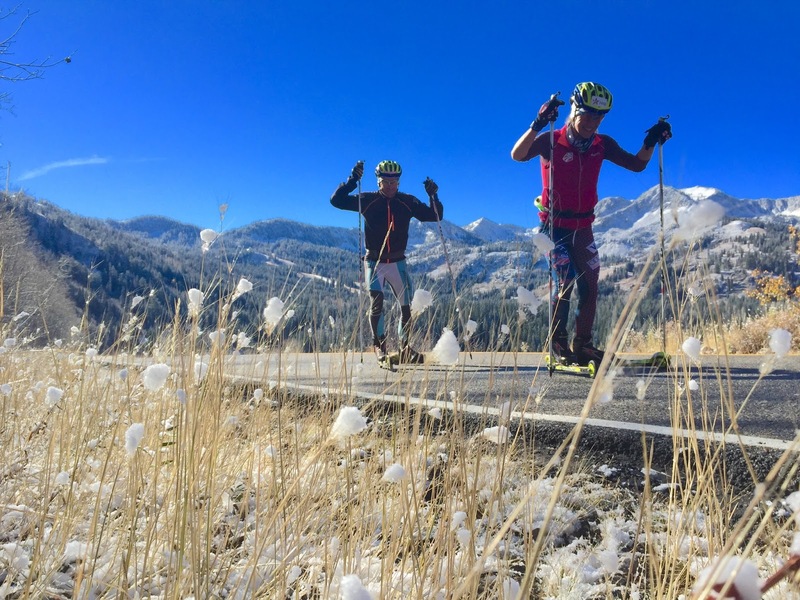 This past week has been about as fun as you can get with 3 days of roller ski racing dubbed the Soldier Hollow Mini Tour, a recovery day, and 4 days of high volume. Soldier Hollow was the venue for the 2002 Olympic Cross Country races and has one of the few roller ski tracks in the country. The paved trails follow a portion of the courses that were used in the Olympics and for multiple Super Tours and National Championships. 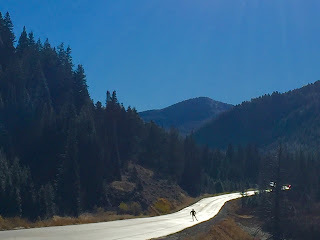 A huge benefit of a rollerski track is that the hills are as steep as what you would find on a cross country ski course. I try to mimic a roller ski course on the streets of Minneapolis and while the terrain may come close, all of those courses are open to traffic, garbage trucks, school buses and other hazards. The US Ski Team coaches and Club coaches organized a great event. It is always a bit of a mystery of where your race fitness matches up to your competitors over the summer and it was fun to test each other. 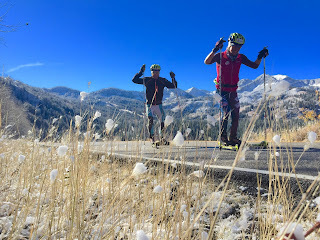 Although different speed wheels and ski models add more variance than a typical on snow race it was good to go head to head with some of the top US racers. I finished the tour in 3rd place overall. Although tough weather conditions can be good for mental toughness, I must say that I have enjoyed the fantastic weather we have had this camp. I do think that is more challenging to stay healthy in bad weather as it adds another load to the body. Temperatures are cooling off and we have woken up to a dusting of snow at higher elevations. A huge benefit of this camp has been having all three of us together. Coach Tom came on to the Team in September and we have been training together in Minneapolis but it has been great to all be together in a camp environment. We have been able to maximize each workout with video, lactates, and technique feedback. It has been great to have the additional support. As a testament of that we both had a fantastic mini tour, plus a great final 4 days of volume. We are finishing the camp healthy and feeling strong. We will still take advantage of several recovery days upon arriving home in Minneapolis but recovery days when you are feeling strong can be even better than recovery days when you are completely blown out. A huge thank you to our sponsors and donors who have allowed us to make this next step forward this year. Tom also takes fantastic photos! We will be skiing on snow soon! Who is excited for winter?